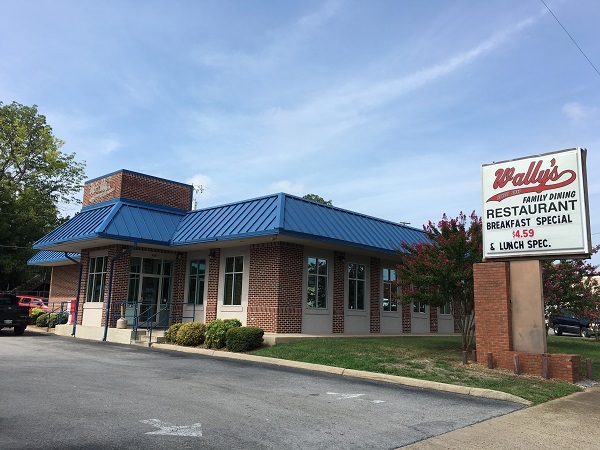 Wally’s Restaurant, Chattanooga TN – Marie, Let's Eat! There are two locations of this very old business in town. We visited one and were very unimpressed. A few weeks later, I gave the other one a chance and liked it a whole lot better. When I drive past a place, I’m certain to make a note if the sign reads something like “since 1937.” I saw such a sign at Wally’s, which is right off the interstate on exit 1 of I-75. One day my mother and her husband were in town and I suggested that for dinner. They had a buffet, but nobody was especially taken with the place. We’d just slowly forget about the experience, except for the most curious conversation I had with one of the employees. Wally’s first opened as a no-frills drive-in, offering hamburgers and barbecue with curb service. 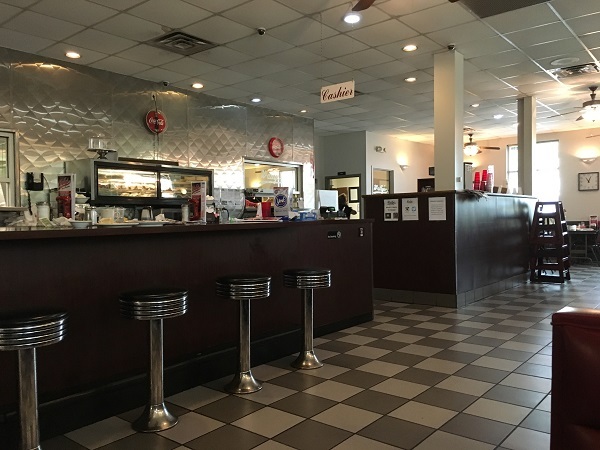 They enjoyed a boom period in the 1950s, and remodeled the building to offer inside dining for a clientele that was growing a little older in the 1970s. 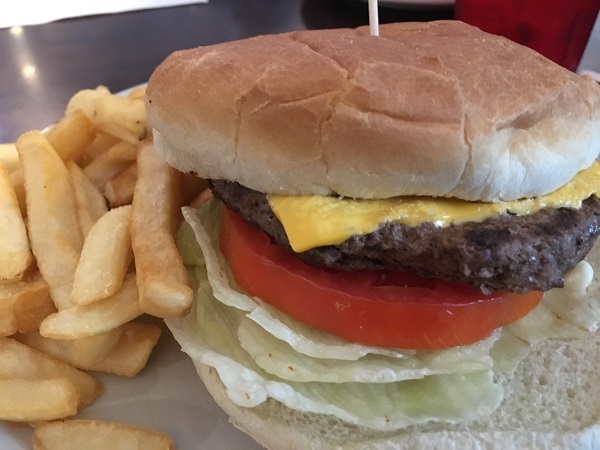 Their burgers remained as popular as ever, but meat-and-threes and big breakfasts joined the menu as their guests aged out of junk food, which the owner, Tony Kennedy, realized after he bought the place in 1971 from Wally Alexander. He transitioned the aging drive-in into a proper family restaurant, and opened the second location in 1989. In 1998, the McCallie Avenue building, and an absolutely gorgeous neon street sign, were razed to the ground in a devastating fire. Kennedy oversaw the rebuilding as the community worried. Even though the vintage-styled interior is not quite genuine, it certainly looks the part. While it doesn’t seem to get much press or attention, this place is just astonishingly popular, and very much beloved. Kennedy retired last year for health reasons, passing ownership to Glen Matthews and his brother Gary, who’ve been working here for a quarter of a century. I stopped by for lunch one Wednesday in late August, and while there were a few parking spaces when I arrived, there were not any when I left. I always think it’s a good sign when I see a parking lot so full in the middle of the week. This is not a place for a quiet lunchtime getaway. It’s a place to come with all your coworkers. It gets loud and crazy. The service was really good, though I think that my server was pleased to see that I was not going to need much in the way of hands-on attention after my lunch came out! There were mobs to feed. 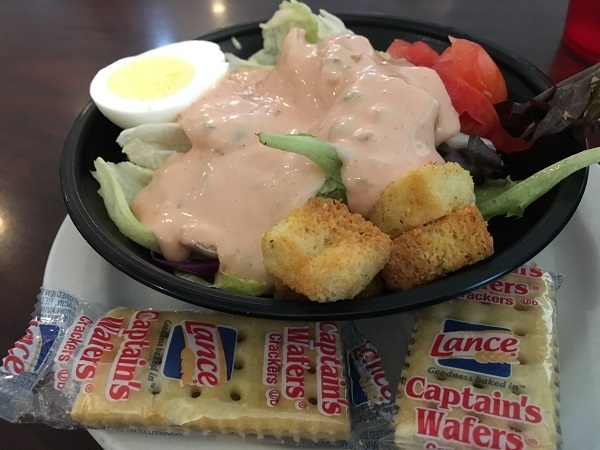 The lunch special includes a salad, burger, and fries. It’s a perfectly tasty burger, admittedly bettered by quite a few in town, but a whole lot better than others. The price is nice and the service is terrific. I am really glad that I had that odd conversation at the East Ridge store that led me to try the original. I wouldn’t have thought twice otherwise, and I might have missed out on someplace a little special. I’m likely to visit again from time to time. Posted on October 19, 2016 by Grant G.Posted in burgers, chattanooga, tennesseeTagged burgers, chattanooga, tennessee.